Howard Australian Government in Trouble. You would expect if you were a democratically elected government, the economy is the best in the region, there is almost full employment, your people are prosperous, the poor are well supported by social security, the prime minister is well regarded by other leaders, you've just survived the worst drought in history with hardly an economic ripple, you're exporting more goods than ever before, and by any test taxation is low you would expect to be re-elected. The polls are showing the Kevin Rudd led Labor Party is way out in front. Although, John Howard's Liberals have clawed their way back until there is about a ten percent difference in the two party preferred vote there is still a long way to go. The election will be held sometime late in the year, November of December, and it will be interesting to see if the Government can regain its popularity. If the Government has been good why kick them out? The answer is complicated and goes back to the fundamentals of democracy. First of all it doesn't mean because the ruling party have been successful they will be re-elected. It is more about the time electors approach the ballot box, how they feel and on what kind of whim they are going to vote. Most voters don't take into consideration the performance but more how the leaders have come across to them. Perhaps they have an impression of the leader and nothing they say will change that perception. In other words there isn't much logic to the way some people vote. In Australia there is a roughly 40% solid core of voters that vote Liberal and about the same for Labor. The 20% that are left are likely to vote either Liberal or Labor and for minor parties. That is where the election is won or lost. Why is Labor posing such a threat? For a start the 49-year-old Kevin Rudd is a credible leader. An ex diplomat and an expert on China he entered parliament as the member for Griffith in 1998 and rose from the backbench to opposition shadow minister for Foreign Affairs to Leader of the Opposition from December 2006. 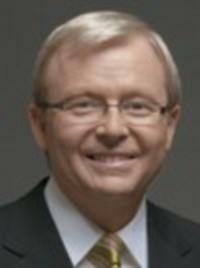 The Labor Party have promoted Rudd as the young up and coming man of the future against Howard, who is in his late sixties, as a man of the past. They are both small men who wear glasses, but they both come across as vibrant and switched on. Howard also has some other crosses to bear, namely the Iraq war and his closeness to George Bush. They are like buddies and are always praising each other until it starts to grate. For the Prime Minister to be mates with the most powerful man in the world would be a good thing, but the USA has alienated not only its enemies but also its friends. The Australian Council of Trade Unions (ACT) has paid millions of dollars to run a campaign to get rid of the Howard Government and support the Labor Party. This push is the largest non-political party campaign ever organised in Australia. It has had an effect. The focus of their efforts has been the Australian Workplace Agreements (AWAs). These agreements allow workers to negotiate their own agreements with employers and have been very popular in some industries but hated in others without a large union involvement. The campaign is more about the survival of the union movement than the workers. Union membership is at an all time low and AWAs are cutting Unions out of the picture. Employers have been able to negotiate better arrangements for themselves and therefore employ more workers, hence the low unemployment in Australia. Against that, is the conditions for employees aren't as good as before so some workers are unhappy. It comes back to the old question, is it better to have more employed or less employees on better conditions? With the unions furious with the Howard Government Rudd has had a free reign and only has to be careful to become the next Prime Minister of Australia. BUT, it has all happened before. Last election the Liberals were well behind and ended up winning when Labor self destructed under the leadership of Mark Latham. 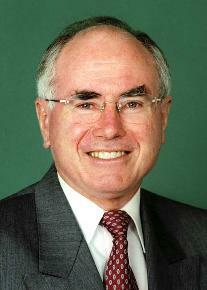 John Howard is a wily experienced politician who has been in this position before. Perhaps he can pull a rabbit out of the hat. It will be interesting to observe and see.